As a service provider, you naturally focus on providing your services quickly, without delays and without problems. And the more complex the service, the more sensitive the tools you need. In large technology companies and IT service partners, the flawless functioning of technology is one of the most important factors. For example, control cabinets are used in the processing and administration of complex technological processes for the collective control of all work steps involved. Such a control cabinet houses the heart of production and is therefore easy to secure. Dr. Neumann Peltier-Technik offers you a comprehensive range of high-quality and professional products from the field of thermoelectrics for control cabinet air conditioning and drainage. In combination with the appropriate sensor technology, thermogenerators and some accessories, we can offer you the perfect all-round carefree equipment for your sensitive electronics. No matter where, no matter when, no matter how large. We at Dr. Neumann Peltier-Technik want to offer you a perfect solution in all areas. This is why we have expanded our product portfolio more and more specifically and in more detail over the past few years, because this enables us to offer solutions for your requirements quickly and reliably with elements from our ongoing production. We started back then with very simple and manageable systems, but our range now extends from small spare parts and Peltier elements in almost all sizes to complex in-house designs patented for Dr. Neumann Peltier-Technik and unique in the industry. Equally unique is the drive of our employees to fulfil your every wish. In some situations, however, a glance at the catalogue is no longer sufficient. And it is precisely then that you as our customer become acquainted with one of our greatest strengths: almost limitless flexibility. Whether only an angled room or a field of application with special operating conditions: There is nothing that does not exist. And should we reach the limits of our product range in the conception of your individual solution, we will expand it for you! The team at Dr. Neumann Peltier-Technik consists of numerous experts and luminaries in a number of specialist fields and, with its concentrated experience and combined knowledge, is in a position to deal with any enquiry. Thus our design office does not shy away from any challenges and, in consultation with you, quickly and precisely creates a needs-oriented special solution for your enquiry – whether as a single item or as a series. Should you wish to have a product manufactured in series, the exact specifications will be adjusted and improved on the basis of a few prototypes and sample devices until you wish to have your special design put into series production. Already during the prototype construction our development team pays attention to the best possible compatibility of the special construction with your requirements, so that you can profit from the product as quickly as possible. 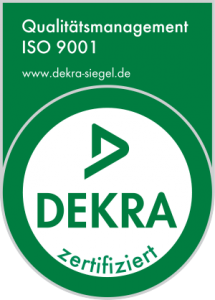 All customer-specific designs from our company are ISO 9001 certified and naturally offer the same high quality standard and maximum functionality as the products from our permanent range. At Dr. Neumann Peltier-Technik we work customer-oriented and demand-oriented during the conception and prototype construction of the devices. You do not receive a product from us with functions that you did not want – and you do not pay for unnecessary features and accessories. Thus we reliably offer you a cost-effective and high quality construction, which corresponds completely to your customer’s wishes. Please feel free to contact us personally about this topic. Together we will also find the perfect design for your concerns – even if it has yet to be invented by us. During conception and implementation it is particularly important to be in close contact with you, because this is the only way to achieve a flawless result. Here you will find some examples of special designs that have already been successfully implemented. The Peltier technology can also be used to temper liquids. In this example it is a model with extremely sensitive adjustment of the built-in sensors. In this way, the liquid to be tempered can always maintain a certain temperature. The media heat exchanger can be individually adjusted. In this way, the flow behaviour and the position of the water connections can be easily changed. In addition to this pure temperature control, high-pressure applications and the temperature control of aggressive or highly viscous liquids are also possible. This example shows a unique specimen: a salamander terrarium with cooled bottom. The system works very accurately and absolutely noiseless, because the waste heat is emitted by convection. This is an essential point when furnishing a dwelling for a living creature. The matching power supply and control unit works with self-optimizing PID control with an accuracy of +/- 0.3 °C. The PID control unit is also available as an option. An associated Pt 100 temperature sensor can be placed anywhere in the terrarium. For use in publicly accessible areas, we can equip all our systems with a vandal-proof hood without external screws. We at Dr. Neumann Peltier-Technik have developed these ourselves and have been using them successfully for several years.